“Some $25 million are flowing out of the country in briefcases through Karachi, Lahore and Islamabad airports,” says Governor SBP Yaseen Anwar. 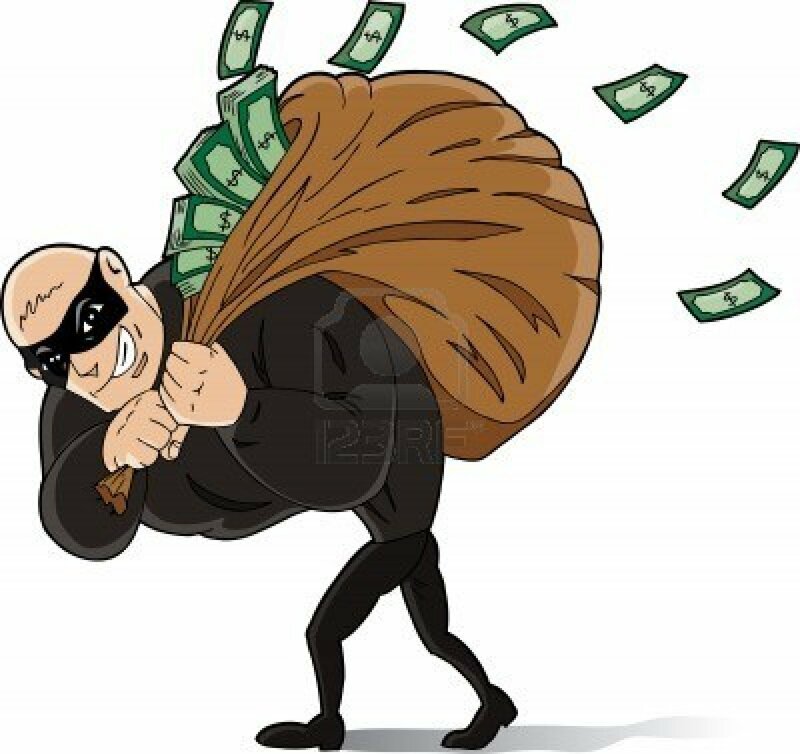 ISLAMABAD: State Bank of Pakistan Governor Yaseen Anwar has said that around $25 million are smuggled out of the country every day ($9 billion annually) in briefcases through country’s three major airports – a statement that hints at the presence of drug barons and indicates the volume of black money moved from and within Pakistan. “Some $25 million are flowing out of the country in briefcases through Karachi, Lahore and Islamabad airports,” said Anwar on Tuesday while recording a testimony on reasons behind the massive devaluation of local currency against the US currency in front of the Senate Standing Committee on Finance. Awami National Party’s Senator Haji Adeel had flagged the issues of smuggling of dollars and money laundering. The amount that is annually smuggled out of the country is far larger than what the country will borrow from the IMF under a three-year $6.7 billion bailout package. The capital flight through illegal channels speaks volumes about the country’s administrative and governance affairs and underscores the presence of smugglers, drug barons and existence of a huge black economy. According to country’s leading expert in narco-terrorism and the global heroin economy, Dr Ikramul Haq, large parts of the black market needs are met from the proceeds of the drug dealings. He said the drug racketeers were using Dalbandin-Iran-Turkey route to supply drugs to Europe and were bringing in cash, luxury goods and arms into the country. Dr Haq further explained that this cash was then sold in black markets and those who wanted to whiten these funds converted the rupee into dollars, which were then shifted to safe havens via Dubai. He said the Federal Investigation Agency (FIA) officials, posted at the airports, were also involved in this dirty business. Dr Haq said drug barons also remitted their money through banking channels and the Pakistani authorities did not even ask questions about the source of remittances. He further disclosed that counterfeit dollars were also available in Pakistani markets. Dr Haq’s statement on dirty drug money being used appeared to carry weight as the total formal flows were not even sufficient to finance annual import bill. The country is receiving about $14 billion in remittances and another over $25 billion in export receipts. As against about $40 billion receipts, the total annual import bill is over $44 billion. The difference is bridged either from SBP reserves and borrowings from international lenders. The SBP governor said that the central bank was trying to control the smuggling of dollars and would soon sign a memorandum of understanding with the FIA. He also said that reports of suspicious transactions were monitored regularly. “People from the US treasury come every month to monitor transactions, but they cannot pick anything except some transactions taking place at Chamman and FATA,” Anwar said. He said there were flaws of enforcement and convictions in the country’s anti money laundering laws and to plug these amendments were proposed in anti terrorism act. In last few days, the rupee significantly shed its value against the US dollar, putting a question mark on the role of the SBP. Anwar disclosed that Finance Minister Ishaq Dar was in touch with him when the rupee was depreciating – a statement that confirmed that the SBP did not enjoy operational independence. “We intervened in the market by taking certain steps , apart from other measures that were taken,” the governor disclosed in response to a question whether the SBP used foreign currency reserves. The committee chairperson Nasreen Jalil said SBP could not satisfy the parliamentary panel and its performance remained poor. “When the currency is attacked no central bank can control the damage,” the governor insisted. Published in The Express Tribune, October 2nd, 2013. Islamabad: Pakistan’s anti-corruption watchdog has objected to the candidature of former premier Nawaz Sharif and his brother Shahbaz Sharif in the upcoming General Election, saying they had defaulted on a bank loan worth Rs 3.48 billion. The National Accountability Bureau yesterday raised the issue in an official communication sent to the Election Commission. Three graft cases against the Sharifs and their relatives are currently pending in an anti-corruption court in Rawalpindi, NAB officials told the media. The Sharif brothers have been accused of defaulting on a loan that was taken for the Hudaibiya Paper Mills. Nawaz Sharif, the head of the main opposition PML-N, and former Punjab chief minister Shahbaz Sharif were also accused of accumulating money and assets beyond their declared means of income by misusing authority. A case in this regard was filed against them in an anti-corruption court in Attack in March 2000. Several of their relatives, including Nawaz Sharif’s son Hussain Nawaz, Hamza Shahbaz, Shamim Akhtar, Sabiha Abbas, Maryam Safdar and Ishaq Dar, are among the accused in the cases. Rehman Malik also alleged that Nawaz Sharif made a second NRO with dictator Pervez Musharraf and went abroad after signing an agreement and violated the Charter of Democracy (COD) he signed with Benazir Bhutto in 2006. ISLAMABAD: Interior Minister Rehman Malik on Saturday alleged that PML-N Chief and former Prime Minister Nawaz Sharif was involved in money laundering. Addressing a news conference in Islamabad, he said evidence against Nawaz Sharif would be placed before the Supreme Court and National Accountability Bureau (NAB) for alleged corruption of $32 million. Rehman Malik said a commission may be formed to investigate alleged involvement of Nawaz Sharif in money laundering. A spokesman for the PML-N rejected the allegations against the party’s top leadership, saying the accusations made by the NAB were “misleading”. He alleged that NAB officials were acting at the behest of the previous Pakistan People’s Party-led government to target PML-N leaders. The Election Commission recently made the NAB part of the set-up for scrutinising the candidates for the May 11 General Election. Shahbaz Sharif is contesting polls to the Punjab Assembly while Nawaz Sharif is a candidate for polls to the National Assembly. 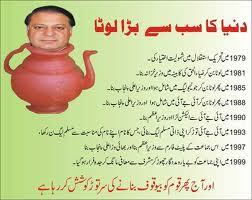 The elder Sharif is widely tipped to become premier if the PML-N wins the polls. The NAB has set up special election cells to facilitate the scrutiny of candidates. The Election Commission has also roped in the Federal Bureau of Revenue, State Bank of Pakistan and National Database and Registration Authority in a bid to weed out candidates accused of corruption or wrong-doing. The Election Commission has said that tax-evaders, people who default on loans and utility bills and beneficiaries of loan write-offs will be barred from contesting the polls, which will mark the first democratic transition in Pakistan’s history. Following documents have been placed before the Supreme Court and National Accountability Bureau (NAB) alleging Nawaz Sharif involvement in $32 millions corruption scandal. ISLAMABAD: The National Accountability Bureau (NAB) is preparing to take up cases against PML-N chief Nawaz Sharif and Punjab Chief Minister Shahbaz Sharif. According to sources, the cases relate to default of Rs4.9 billion loans obtained from nine banks in 1994-95. “Cases against Sharif brothers were to be approved in a recent NAB board meeting but were deferred on the directives of the Chairman, Admiral (retd) Fasih Bokhari,” an official of the bureau said on Monday. The chairman is reported to have said that all pending cases about politicians would be taken up soon. The NAB spokesman was not available for comment. The bureau had earlier frozen some assets of the Sharif family against which the loans had been taken. The Supreme Court upheld in January a judgment of the Lahore High Court asking NAB to release the assets of the Sharif family. It dismissed an appeal by NAB Prosecutor General K.K. Agha against LHC’s Oct 4, 2011, directive to the bureau to return Rs115 million and property of Hudabiya Paper Mills lying with the National Bank, Islamabad. The sources said the assets had not been released so far. The prosecutor general had told the Supreme Court that before heading to Saudi Arabia in December 2002, Nawaz Sharif had consented to return money to NAB under an agreement. When contacted, PML-N spokesman Mushahidullah said the party’s chief and his family were not defaulters of any bank loan. “That was the reason Nawaz Sharif demanded of the government to make public details of all bank loans not repaid by politicians,” he said. Replying to a question, he said the value of the frozen assets was far higher than the amount of loans obtained. “Once their assets are released, they will pay the loans,” he said. The loans were taken from the NBP, Habib Bank, United Bank, Muslim Commercial Bank, Punjab Mudaraba, Bank of Punjab, Agriculture Development Bank, Pakistan Industrial Credit and Investment Corporation and ICP Bank. During the proceedings in the Supreme Court, the NAB prosecutor general submitted an agreement signed by Nawaz Sharif and the Musharraf government. The LHC had declared the taking over of property of the petitioners as unconstitutional, ultra vires under NAO, 1999, and without lawful authority. It had also ordered payment of compensatory cost of Rs150,000 per petition to Hudabiya mills, Nawaz Sharif, Shahbaz Sharif and Mian Mohammad Abbas Sharif. ISLAMABAD: Government land costing billions of rupees on the Murree Road has allegedly been allotted. While widening the Murree Road in 1998-99, the then Punjab chief minister, who also holds the post now [Shahbaz Sharif], had decided to allot alternate land instead of financial compensation to some of the affected persons. Working swiftly, the Highways Department first got transferred six acres of land on the main Murree Road owned by the Agriculture Department in their own names and then transferred it illegally to fake victims. The Revenue department had also declared the allotment illegal six years back. After probe, it was learnt that land was provided to Raja Abdul Latif without any legal justification ignoring the legal claimant Zia Rashid. Likewise, Raja Shafqat, son of Raja Mohammad Siddiq, was also allotted land while the actual claimant, Mohammad Hashim Khan, son of Haji Manzoor Hussain, was ignored. Two other real claimants Mohammad Usman and Jamila Akhtar were also not included in the list. A six-member committee consisting of officials of the Revenue and Highways departments in the light of a detailed report of tehsildar Rawalpindi had ruled that all bogus allotments may be cancelled and the land illegally allotted maybe got vacated. The committee had also ruled that the genuine affected persons may be given alternate lands elsewhere. Will Nawaz Answer Why PML-N Lawyer Garlanded a Confessed Murderer? Recent agitation against the Punjab government on the intermediate result fiasco, underscores the growing wedge between the youth and a Pakistan Muslim League-Nawaz (PML-N) desperate to woe the younger generation. The protests could not have come at a worse time for the Sharif’s, who are trying to mobilise the public against the federal government. Following the cancellation of the intermediate exams at four Board of Intermediate and Secondary Education (BISE) centres in Punjab, students and the youth have raised fingers at the credentials of the Punjab Chief Minister (CM) to mount an anti-corruption campaign against the federal government. The failure of the online examination system across Punjab has sparked anger that now risks the 28 October rally by the Sharif brothers against the federal government, Pakistan Today learnt on Sunday. “The parents of female students are sitting on roads and chanting slogans against the Punjab government but his government has ordered police to beat up students protesting for their rights. Why should we join him in the rally?” Kashif asked. Another intermediate student, Adeel Ahmad said it was ironic the PML-N was holding a rally against corruption when the CM himself was supervising corruption in Punjab. “While Shahbaz has rightly suspended the BISE Chairman and Controller, no action has been initiated against the man behind the fiasco, BISE It Consultant Dr Majid Naeem, who is related to a PML-leader,” Adeel said. He said it was common knowledge that Dr Majid had corruptions cases registered against Majid, who had been terminated from Punjab University on corruption charges. He said the fact that the PML-N was turning a blind eye to Majid’s corruption, showed their hypocrisy. As Pakistan Muslim League-Nawaz (PML-N) and Pakistan Tehreek-e-Insaf (PTI) battle through banners, Parks and Horticulture Authority (PHA) is unable to regulate the display of banners which has officially been banned on the Mall and other major roads of the city, Pakistan Today has learnt. The Mall is heavily polluted by an array of banners that have been put up to advertise the PML-N rally on October 28, from Nasir Bagh to Bhatti Chowk, and the PTI rally on October 30 in Minar-e-Pakistan, following a lack of implementation of the ban. A senior official of PHA said it appeared as if political parties were questing to achieve political glory by attracting people to join their causes but neither did they consider the ban nor did they consider how adversely it polluted the road. He said some of the banners hanged through electric poles and traffic signals after last night’s windstorm. Some had fallen on the road, dirtying it while most poles displayed three to four banners which looked unsightly, he added. In front of the Punjab Assembly, PML-N banners with pictures of Nawaz Sharif, Shahbaz Sharif and Hamza Shahbaz bearing political slogans were seen. On the other stretch of the road, PTI banners could be sighted in the proximity of the Governor House. Javed Jabbar, a resident of lower Mall, told Pakistan Today that the unsightly banners were a cause of concern for citizens. He also noted that the government’s promise to keep the Mall free from banners had not been fulfilled. PML-N President, Mian Nawaz Sharif, made an unannounced dash to Dubai Thursday afternoon and returned to Pakistan the same evening. The visit was kept completely under wraps and even the senior most party leaders had no idea that their leader had gone missing from the country for a few hours. According to a source, Mr. Sharif also held an “important meeting lasting a couple of hours” with some undisclosed individuals; however no further details were available on this count and could not be confirmed by another independent source. According to details, Nawaz Sharif landed in Dubai late afternoon and drove straight to the residence of Senator Ishaq Dar, whose son is married to Nawaz Sharif’s daughter. When contacted, Senator Pervez Rashid (PML-N) insisted that there was nothing unusual or “mysterious” about the visit and that Mr. Sharif had gone to Dubai to meet his daughter and to deal with some family matters. Responding to another query he said, “Mian sahib had planned this private visit for a while but we (party leadership) had asked him to postpone it because of the evolving political situation here at home. Now he felt that he could afford to take out a few hours for this visit,” adding, “Please do not read anything into a simple private family visit”. When asked about the need to keep the visit a secret, Senator Rashid shrugged off the assertion by saying, “It was a private visit, that’s why”. It may be recalled that in the past however, every time Mr. Sharif went on a ‘private’ visit either to the UK or the UAE, maximum media coverage was always ensured by his political aides and respectable sized reception parties were assembled at the destination airports. Why this past tradition was suddenly abandoned and a blanket of secrecy thrown over the visit, only time will tell.